Completing the Puzzle: Who Do the Mariners Need to Target in Free Agency? Posted on December 13, 2009 by Notorious B.U.D. 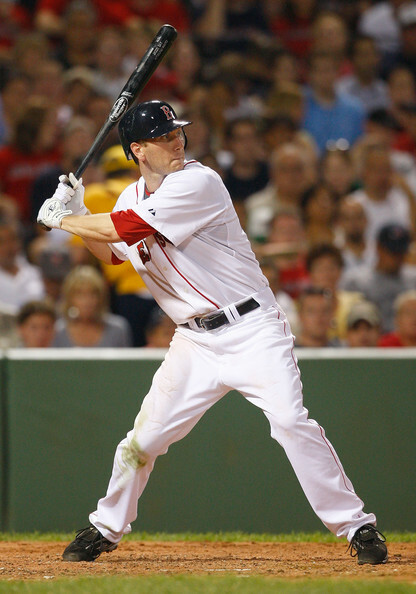 Jason Bay has ties to the Pacific Northwest, but is he a good fit for the Seattle Mariners? Though the Mariners signing of free-agent third baseman Chone Figgins shows that they are serious about competing for the division, baseball’s Winter Meetings have come and gone and the team still has plenty of holes left to fill if they want to have a realistic shot at winning the AL West. Texas has been busy all week, signing free-agent Rich Harden and acquiring Chris Ray and Mike Lowell (still pending) through trades, turning up the heat on Seattle to keep pace. The Oakland Athletics were one of the most improved teams in all of baseball during last season’s second half, and figure to be even better in 2010 with all the experience their young players gained down the stretch. Los Angeles lost Figgins and may be unable to resign their ace Jon Lackey, but the Angels are still dangerous after winning the division by 10 games last year despite battling injuries to key players the entire season. All four teams in the AL West have a legitimate shot at winning the division next year, with no clear front-runner at this point in the offseason; what will it take for the Mariners to come out on top in 2010? The addition of Figgins fills Seattle’s need for a third-baseman, but the Mariners still need help at first-base, catcher, left-field, designated hitter and in their rotation (more on this in a later post). Statistically one of the worst offensive teams in the American League last season, Seattle’s superb pitching staff carried the team all year, leading the AL with a 3.87 team ERA. While the pitching will likely regress a bit next year due to the losses of Erik Bedard and Jarrod Washburn, it’s clear that the Mariners main focus this offseason needs to be on adding offensive firepower; this may prove to be an expensive proposition with four positions yet to be filled. After Endy Chavez’s season-ending injury the Mariners got virtually no production out of leftfield, with the trio of Bill Hall, Michael Saunders and Ryan Langerhans performing well below replacement level. Jason Bay is imminently available after being unable to come to terms with the Red Sox and has strong ties to the Pacific Northwest, but is seeking a contract in the range of 4-5 years and $60+ million dollars, a deal that would leave the Mariners out of cash and still needing a first baseman, catcher and right-handed DH. Additionally, there are concerns about whether a one-dimensional player like Bay, who hits for power but provides little else, would be worth a long-term investment in a park like Safeco Field that caters towards pitching. Free-agent outfielder Matt Holliday offers more versatility than Bay but would need a similarly hand-cuffing contract to come aboard (he is represented by Scott Boras after all). A more budget friendly option is former Seattle Mariner Mike Cameron, who despite turning 36 last season, is still a plus defender in the outfield who offers good power and patience at the plate. The Mariners could probably ink Cameron to a one-year deal, limiting the risk if he performs poorly, which would also give Saunders another year to develop in Triple-A Tacoma. Other players to consider in left-field include Randy Winn, Jonny Gomes or Josh Willingham. 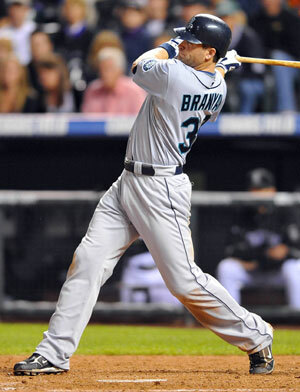 A breakout performer last year, Seattle would be happy to bring Branyan back at first base in 2010. The Mariners got surprising production out of first base last season, with Russell Branyan taking advantage of his first chance to play full-time by slugging 31 HR’s and driving in 76 runs. The early indications seem to suggest that Seattle plans on bringing Branyan back for at least one more year, although he would probably be due a substantial raise over the $1.4 million dollars he earned in 2009. Branyan stated all season long that he owed it to the Mariners to resign with the club because they were the only team willing to give him a full-time role, but it remains to be seen whether that will hold true if another team offers him a lucrative deal. If Seattle loses Branyan to another team they could replace him internally with Mike Carp, who performed admirably in a short trial last season (.315 in 54 AB’s), or they could pursue free-agent Nick Johnson. 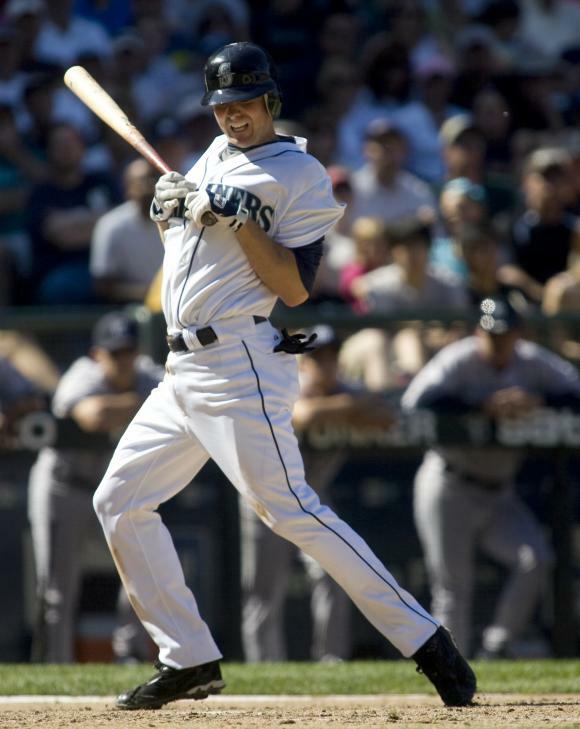 Though injury prone, the 31-year-old Johnson has one of the best batting eyes in the game (.426 OBP in 2009) and is a solid defensive first baseman who could fit comfortably into the Mariner’s lineup as their number three hitter. There has also been some speculation that Seattle would consider shifting second baseman Jose Lopez (a defensive liability up the middle) to first base and moving Matt Tuiasosopo (a third baseman in the minors) to second, a possibility now that the hot corner has been filled by Figgins. eattle has been mentioned as a possible destination for free-agent catcher Miguel Olivo, a defensively-challenged backstop who hit 23 HR’s in only 390 AB’s last season. While Olivo has never shown the ability to draw a walk, he has consistently produced good power numbers and is the best player available in a very thin catching market. If the M’s could sign him to an incetive-laden one-year deal, Olivo is probably a worthwhile gamble; if he wants a multi-year deal Seattle is better off allowing Johnson and Moore to develop in the majors. Could the former Mariner killer become a killer Mariner? Designated hitter may have been the most popular position for Seattle in 2009, with clubhouse favorites Mike Sweeney and Ken Griffey Jr. manning the post, but it certainly wasn’t the most productive. Griffey’s back and figures to get the majority of at-bats against right-handed pitching; the Mariners hope he can rebound from a sub par return to the Emerald City last year (.214-19 HR’s-57 RBI’s). Seattle needs to find a player who hits left-handed pitching well to platoon with Griffey, but this year’s free agent crop is very thin in terms of quality hitters. The M’s might have to take a flier on someone coming off an injury or a bad season. 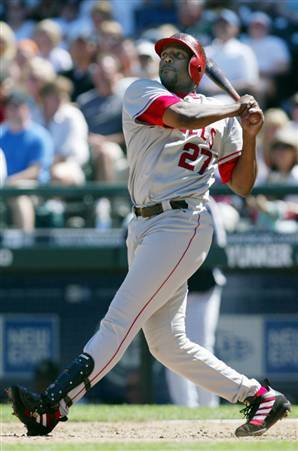 Some possible candidates include Xavier Nady, Olivo, Carlos Delgado or even longtime thorn-in-the-side Vladimir Guerrero. While Guerrero’s power has dipped in recent years, he would still be a significant upgrade over Sweeney as a part-time DH, and could become a solid run producer with Ichiro and Figgins at the top of the lineup. As of today there are still 266 free agents available for the Mariners to sign, so despite the team’s need to fill multiple holes in their lineup, there’s no need to panic–yet. The Rangers’ lastest moves have upped the ante, but Jack Zduriencik has shown himself to be a very capable baseball man, and will work tirelessly to make Seattle a frontrunner for the 2010 AL West title. The Mariners certainly have issues to address, but the pieces to build a title contender are out there; now it’s just up to the Mariners and their front office to fit them all together. Posted on June 2, 2009 by Notorious B.U.D. Aardsma has proved a capable closer for the Mariners. AL West Standings: Texas (30-20), LA 4.5 GB, Seattle 7 GB, Oakland 10.5 GB. Top Hitter: While it doesn’t take much to stand out in the Mariners’ rag-tag lineup, Ichiro enjoyed a very productive month at the dish during May. Suzuki hit .377 in the month, riding a 24-game hitting streak that raised his season average to .354. The Japanese Juggernaut also contributed 3 HRs, 10 RBIs and 5 SBs. While he still doesn’t draw any walks, and his speed is on the decline, Ichiro is still one of the lone bright spots for an offense that ranks near the bottom of the American League in nearly every category (12th in BA, 14th in Runs, 14th in OBP, 13th in Slugging). If the M’s are going to have any chance at competing in the AL West, Suzuki is going to have to continue to play as well as he did in May. Top Pitcher(s): Besides having the distinct honor of appearing before aardvark in the dictionary, David Aardsma has also thrived as the Mariners’ closer since he took over for the erratic Brandon Morrow. Most fans (including myself) probably didn’t think Aardsma had a chance to be a successful stopper because the former 1st round draft pick came into the season with a career ERA near 5.00. But besides his Jose Mesa-eqsue implosion on the last day of May (2/3 IP, 3 R, 4 BB), Aardsma proved his mettle, converting 5 of 6 saves with a 2.25 ERA. The former Rice closer has electric stuff; Aardsma dials up a mid-90s fastball and dares hitters to catch up to it—so far they haven’t been able to (18 Ks in 16 May innings). He still needs to cut down on the walks (12 BBs in May), but otherwise Aardsma looks like one of the Mariner’s best offseason acquisitions. Another pleasant surprise for Seattle has been lefty Jason Vargas who came to the M’s in the J.J. Putz trade. Since his call-up at the beginning of May, Vargas has gone 2-0 with a 1.65 ERA between the bullpen and starting rotation. If he keeps this early season success going, Don Wakamatsu will have a tough decision to make when Ryan Rowland-Smith returns to the team. Big Russell Branyan--the Mariner's lone source of power. Biggest Surprise: Russell Branyan has proven to be the only consistent source of power in the Mariner’s lineup, leading the team with 11 HRs on the season. 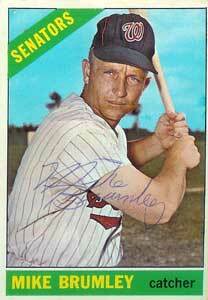 Even more shocking is that the .237 career hitter followed up a .333 April by hitting .317 in May with 7 HRs and 13 RBIs. Branyan has predominately been a three true outcomes (HR, K, BB) player throughout his career, but has pulled a page out of Ichiro’s book and his ability to hit singles and doubles this year has kept his average above .300. Given the chance to play full-time for the first time in his career Branyan has thrived, and while undoubtedly his average will fall, he at least gives the Mariners one player in their lineup that pitchers need to respect. Biggest Disappointment: The last time Adrian Beltre entered a contract year he went bananas, hitting .334 with 48 HRs and 121 RBIs. So far this season, Beltre has made Mariners’ fans long for the day of Russ Davis or David Bell, hitting .250 in May with 3 HRs and 11 RBIs (not to mention his 4/21 BB-to-K ratio). Seattle would probably like to trade Beltre when if they fall out of contention, but he sure isn’t making it easy on them. While he plays Gold Glove caliber defense at third, he hasn’t been able to rediscover the steroids swing that made him an MVP-caliber player with the Dodgers. Injuries: Kenji Johjima (15-day DL, fractured big left toe); Ray Corcoran (15-day DL, sore neck, early June return); Ryan Rowland-Smith (15-day DL, triceps tendinitis, early June return); Carlos Silva (15-day DL, general terribleness, teammates/fans hope for extended stay on DL). June Schedule: 3 vs. Baltimore; 3 vs. Minnesota; 3 @ Baltimore; 3 @ Colorado; 3 @ San Diego; 3 vs. Arizona; 3 vs. San Diego; 3 @ LA Dodgers; 1 @ NY Yankees. Overall Grade: (C) After a hot start the Mariners have come crashing back to earth and unless their offense improves there is no reason to expect a change anytime soon. Their pitching staff has been superb, but an utter lack of run support will leave the Mariners struggling to stay around.500. Hopefully they can use interleague play as a springboard back towards contention, but don’t bet on it. Posted on April 29, 2009 by Notorious B.U.D. Erik Bedard was stellar in April. Top Hitter: Many of the Mariners’ projected top hitters have struggled in the early going with Jose Lopez, Adrian Beltre, Ken Griffey Jr and Franklin Gutierrez all hitting under .255. The catalyst for the offense in the first month was offseason acquisition Endy Chavez, known for his glove but not necessarily for his bat. Despite his Nicole Richie-eqsue physique, Chavez has been coming up big for the Mariners’, whether batting leadoff or in the number 2 hole behind Ichiro. In addition to getting on base at a good clip, Chavez has been a threat on the basepaths stealing five bases to go along with his .305 average. A defensive whiz in leftfield, Chavez will prove an invaluable member of the M’s on both sides of the ball if he can continue to anchor the top of the lineup with Ichiro. Top Pitcher(s): Two surprises have headlined the Mariner’s pitching staff thus far and are a big reason why the team is near the top of the majors in ERA (despite the best efforts of Carlos Silva). Even though he was roughed up in his last start Jerrod Washburn is pitching like a man on a mission after posting a 5-14 record last season. Washburn nearly matched last season’s win total in April alone, going 3-1 with 3.42 ERA and 1.10 WHIP. He has been complemented nicely in the rotation by the reemergence of Erik Bedard. Bedard pitched well last season but because he spent so much time on the disabled list, he had little effect on the M’s horrific 2008 pitching numbers. He is once again looking the ace that Seattle had hoped for, and through April is sporting a 2-1 record, 2.61 ERA and has 32 Ks in only 31 innings. Felix Hernandez, the one consistent pitcher for the M’s last year, has led the staff since day one and after the first month of the season is 4-0 with a 2.38 ERA and 36 Ks. Is the Cy Young talk far off? If these three can continue to deliver quality starts the Mariners should stay in contention all season long. Chavez has been a big reason for the M's great start. Biggest Surprise: The calendar has turned to May and the Mariners are still in first place…enough said. Let’s just hope we’re saying the same thing come September. Biggest Disappointment: Although he has been a positive influence in the clubhouse and on attendance, Ken Griffey is playing much more like the senior rather than the junior version these days. Always one for seizing the moment, Griffey started the year strong by homering in his first game and still has about as many walks as strikeouts, but otherwise has struggled mightily at the plate. If he continues to hit at his current clip, Junior will be a major liability in the Mariners’ hunt for the AL West title, leaving manager Don Wakamatsu with a very tough decision about what to do with the aging slugger. Injuries: The pitching staff has been missing starter Ryan Rowland-Smith since Spring Training. Rowland-Smith started the year with triceps tendinitis, but is expected to resume throwing soon and could return the first week of May, taking the place of Chris Jakubauskas (much to the delight of announcers everywhere). Catcher Kenji Johjima was placed on the 15-DL due to hamstring issues and is also expected to return in early May. Chad Cordero, a free agent signing in the offseason, is slated to throw batting practice soon and could join the roster in within a week or two if his right shoulder soreness improves. May Schedule: 3 vs. Oakland, 2 vs. Texas, 2 @ Kansas City, 3 @ Minnesota, 3 @ Texas, 3 vs. Boston, 4 vs. Los Angeles, 3 vs. San Francisco, 3 @ Oakland, 3 @ Los Angeles. Overall Grade: (A-) The Mariners have greatly exceeded expectations thus far despite a sub-par offense and some early issues in the bullpen. If Wakamatsu can figure out an effective lineup this squad could still be playing come October.